Sometimes it’s the miles. Sometimes it’s the care. Sometimes it’s both. Phill Wills, the father of Josh Wills, an autistic boy from Cornwall who has been in a hospital unit in Birmingham since 2012 and has been promised a return home for mid-June, once commented regarding the care his son is receiving that “it’s about the miles, not the care”. He or other members of his family have to make a 260-mile trek north every weekend to spend a couple of days with Josh — including during the time when the only rail link to Cornwall had been severed during the 2014 floods. However, for some families and some disabled people, the problem is both. In the last year, one of the cases I have been following has had a happy ending, while another has ended suddenly in tragedy; there have also been two inquests into deaths of people with learning disabilities in residential or NHS care, while another is to begin in the autumn, more than two years after the person concerned died. The happy ending (well, so far) was in the case of Claire Dyer, who this time last year was under section, living in a residential unit in Swansea, spending weekends at home and seeing her family almost every day, after having been threatened with removal to a large hospital in Northampton, St Andrew’s. It appeared that they would be trying to find a bespoke placement, i.e. a house or flat with staff, in the local area. Sadly, in the summer, staff at her unit decided to send her away after all, after a brief spell of increased outbursts (triggered by another resident moving back to her care home, something she had been promised two years previously), and in July she was sent to a medium-secure unit, The Dene, near Brighton, 230 miles away from home, which did not cater for severe autism. She remained there for two full months, was then given two periods of home leave in October which passed without incident, and a third home leave was made permanent, as the clinician there decided to remove her section at the beginning of November. 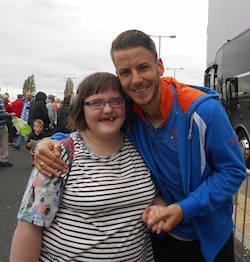 She is now living quite happily at home and has resumed the activities she was doing while in the unit in Swansea. The tragedy was that of Thomas Rawnsley, who died in February after having been sent to a new, privately-run unit in Sheffield, under a Deprivation of Liberty authorisation last year after having been promised a bespoke placement. Thomas had been in a string of special units and had one or two short spells at home following suffering abuse in a supported living placement. After being expelled from that unit, he was sent to an assessment and treatment unit (ATU) where he was plied with anti-psychotics to the extent that his mother found he could not talk or eat, but just dribbled. In his final unit, days before his death, his family noticed that he suffered still-unexplained injuries such as carpet burns, and was suffering from a serious chest infection. He suffered a cardiac arrest at his unit on 1st February; his life support was switched off on the 4th. He had Down’s syndrome and autism, and was only 4ft 11in tall. The two inquests were those of Nico Reed and Stephanie Bincliffe. 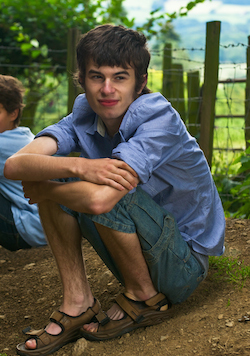 Nico was a young man with severe cerebral palsy, thought also to have learning disabilities although it is not clear how much of this was down to his communication difficulties, who choked to death while asleep in a supported living ‘home’ run by the NHS trust Southern Health in Oxfordshire in August 2012. An inquest last December found that he could have been saved if more checks had been made on him while asleep, but his mother revealed that the poor care was deeper than this; at boarding school he had been receiving daily physiotherapy and speech therapy which enabled him to avoid aspirating his vomit; this all stopped when he moved to the Southern Health home, resulting in vomiting incidents becoming more frequent and Nico himself becoming “thin, depressed and frightened”. As with Thomas Rawnsley, his family were trying to get him out of the unit, in this case by arranging for care to be provided at home, at the time of his death. Stephanie Bincliffe had severe autism, and had been sectioned at age 18 after attacking a boy in a shop. She died aged 25 in August 2013, having spent most of the intervening seven years in a padded room, at the end of an otherwise all-male corridor in a secure hospital in East Yorkshire, some 75 miles from her home in Nottingham. Her weight had increased to 25 stone and she had not enjoyed fresh air or even left to wash or use the toilet, relying on wet wipes and a bedpan. 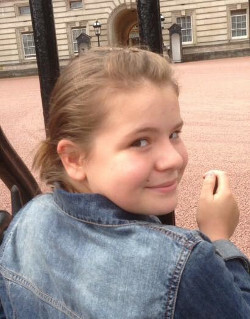 The inquest recorded a narrative verdict, the coroner ruling that the hospital, run by the Huntercombe Group, had failed to tackle her weight gain, but that the three treatments usually available (bariatric surgery, appetite-suppressing drugs and a calorie-controlled diet) would not have worked for her. It apparently did not consider whether the hospital had a plan for getting her out of a padded cell and into the community; her mother, Liz, commented that if the so-called assessment and treatment unit could do neither “then there should have been some discussions with the commissioning body and us as to whether she might best be placed elsewhere rather than continue to be contained in a hospital for seven years until her death”. Finally, the inquest into Connor Sparrowhawk’s death in July 2013 has yet to begin, although pre-inquest hearings have already taken place. 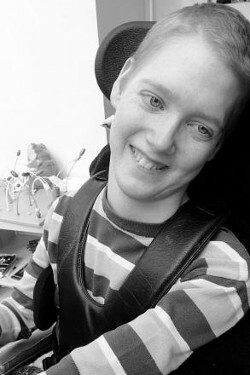 His mother, Dr Sara Ryan, has detailed on her blog the various delaying tactics the Southern Health trust has used, as well as their attempts to portray his death (by drowning, during an epileptic seizure while in the bath in an NHS learning disability unit) as ‘natural’, the reports full of inaccurate information on both her and Connor, and the attempts to turn disability activists against her by making false claims about her care and theirs. Staff disciplinary procedures dragged on until this year, resulting in no significant action against any member of staff. This case is as cut-and-dried as they come, as you simply do not leave a person with epilepsy in the bath on their own — there simply is no excuse. He had been in the unit only 107 days, and as with Nico and Thomas, his family were also trying to arrange for him to be able to live at home again. And some cases remain unresolved, meaning some people are still far away from their families and suffering. Besides Josh Wills’s case (which was ‘nearly’ resolved in February), Tianze Ni, who lived in Fife, Scotland until he was taken into hospital ‘temporarily’ last year, remains under section in Middlesbrough despite the promise of a return home within weeks. His parents have moved to Middlesbrough to be near him, and there is no date set for his release yet. He has been allowed a few trips out with them, lasting a couple of hours each, but the return to hospital is always hugely upsetting. This issue of the removal of people with learning disabiities from their homes and familiar environments, often to institutions far away, is something that has made the news in the past couple of years entirely because the families of the victims have made a noise, and not let the matter drop, even when their own loved ones are back with their families or have found suitable care and living arrangements. Panorama notoriously uncovered one awful example of violent abuse in an assessment and treatment unit in 2011, but it did not really question why some of the people who were locked up there were there at all, and since then three young people have died in units a lot like it. People are sometimes sectioned on pretexts, held in overly restrictive environments for no good reason, blamed for behaviour that was provoked by the conditions they were held in, moved miles away regardless of their best interests or family connections, and sometimes moved because funding cuts and bureaucratic decisions mean that no inpatient care is available anywhere near them. Four years after the Winterbourne scandal, after promises were made to move all long-term residents out of short-term units — the separations, the suffering, the needless deaths are all still going on. It still takes months or years to get someone out of these situations, and sometimes a disabled person in poor health just cannot wait that long. Thomas Rawnsley’s family are trying to get people to send birthday cards for Thomas on 7th June. It would have been his 21st, and they want 2,100 cards. (Send them to: Thomas Rawnsley C/O Blossom ASD, 10 Rounton Road, Waltham Abbey, Essex, EN9 3AR.) There will also be a vigil outside Parliament on 4th June, exactly four months after his death. The independent report into Connor Sparrowhawk’s death, in full and easy-read PDFs. Hull is a blackspot for children’s mental health services; those who need inpatient care are sent to Sheffield or even Manchester. Maisie Shaw (above right), aged 13 and with autism, has been sent to a secure unit in Bury, outside Manchester, after running away from a unit in Sheffield. This petition is to get inpatient care re-instated in Hull after it was abolished in 2013. A video was made for Vice about Maisie’s situation, before she was sent to Bury.